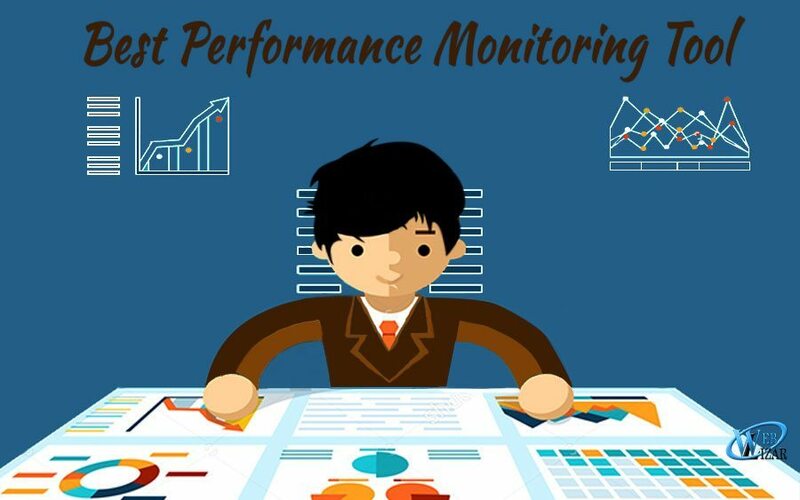 Which Is The Best Performance Monitoring Tool? This world that we are living has a very competitive atmosphere, where we need to do the best of what we can to ensure that all of our processes are working perfectly. And for that we need some of the best performance monitoring tool available out there. We need to have consistency in our business practices. We need to forecast the future and make sure that our business plans will turn into reality. This is the truth that we must take into special consideration today, especially if you’re running a business. With this, it makes perfect sense for you to incorporate a performance monitoring tool to your business operations. It will not only increase your chances of success, but it will also speed up the pace of reaching your milestones. But which is the best monitoring tool to use? New Relic, Loggly, and Splunk are the best ones you can get. For sure, you’ll get a ton of programming help from these tools. New Relic is one of the most popular performance monitoring tools due to its effectiveness in measuring precise statistics and calculations of one’s performance. It may be the performance of an application, a group of tasks, or even an entire infrastructure. New Relic is known to have a wide array of plugins that you can incorporate into your system. This makes your system more user-friendly, more interactive, and better equipped to monitor your performance even in the smallest detail. This tool gives you a very clear and understandable visualization of your system’s past, present, and it also forecasts future performance. It makes sure that it’s a tool that speaks of transparency. Before you finalize plans, the tool will tell you beforehand if it’s a wise choice or not. It alerts you its interpretation of your inputted information based on its analysis. It enables you to analyze and assess the past and present situation of your system, thanks to the detailed and simplified reports it present. It also shows the effects of the possible courses of action you can consider taking. New Relic caters to a general market, either they are a start-up or mid-sized business, non-profit organizations, public administration systems, or even to individual freelancers. What’s best about New Relic is that it isn’t hard to start using it. You simply need to just incorporate a small agent to your server and log in to the New Relic web app. An instant performance data will immediately show up. Your server monitoring would have then started. It’s as simple as that. New Relic can support a variety of different application and platforms. It doesn’t matter if your system runs on.NET, Ruby, PHP, or even Java, Python, and Node.js, because it can run on any of those. Monitoring and fixing your apps issues have never been easier. You can easily watch your app and check if there are any issues. What’s special about it is that you can do this wherever you are, as long as you are connected to the internet. New Relic pricing starts at $24 per month. There are also different pricing models you can choose from, such as the Open-source, Freemium, and the Subscription. You can have a free 14 day-trial for web apps and a free 30-day trial for mobile apps. Loggly is another management and security platform that specializes in network performance assurance. This does a pretty good job in giving you the transparency you need in checking your I.T. logs, as well as notifying you of any potential threats to your system infrastructure. You’ll receive constant notifications regarding the current status of your infrastructure. Recent changes and performance checks also show up, giving you better transparency as to what is happening with your system. The dashboards are fully customizable, giving you the freedom to tweak it and make it sync well with how you’re going to use it. It’s with this that you’ll easily get the hang of using it. The way this monitoring tool shows you your infrastructure’s current situation is made in an attractive and easily understandable way. Graphs, charts, and simplified paragraph explanations would show up. Loggly would perfectly do well for small startups, mid-sized businesses, or large enterprises. Any business which needs a reliable network infrastructure would need this tool. Loggly is very easy to setup as it just takes a few minutes. What’s great is that in-house technicians are available at almost any time of the day to help you out in whatever technical inquiries you might have. The monitoring tool supports different platforms, be it C/C++, Python, Apache, Java, Ruby, Tomcat, Nginx, Snare, and much more. You won’t feel restricted with Loggly because you can choose from three different packages. They’re fully customizable, which is why you can tweak them and only get the features you’re going to need. Getting a standard subscription will cost you $49 per month, while a pro subscription is priced at $349 per month. Splunk Cloud is what big enterprises need because it can analyze and monitor a big amount of data. It allows you to index raw data from different sources, as well as help you identify patterns in your system’s performance. It shows all of the information in a user-friendly dashboard, complete with forecast visualizations and smart suggestions. Splunk Cloud lets you easily collect log information and machine data that you can analyze and suggest corresponding actions too. You don’t have to do everything because the tool does it for you manually. It searches, analyzes, and visualizes forecasts autonomously. It checks patterns from the accumulated data information and shows you a course of actions you can take. Splunk Cloud if perfect for mid-sized businesses and large enterprises who need to have a lot of processing power to analyze and sort out its huge chunks of data. The best thing about Splunk Cloud is its real-time alert notifications that show up on your RSS feed. It gives you live up-to-date changes in a very interesting manner. Splunk Cloud gives you accurate predictions on patterns and trends. This perfectly matches its easy-to-understand info visualizations. The way it collects, indexes, and analyzes data is so efficient. The server doesn’t lag, and dashboard interaction is so smooth. The monthly subscription price for Splunk Cloud is $675, which is quite expensive. However, it’s worth your money because of its capability to analyze huge amounts of data and its smooth operation. Hope you have enjoyed the comparison between these three tools and talking about comparisons we have one more Joomla vs Drupal- An Intuitive Report and Top Offline Marketing Strategies.